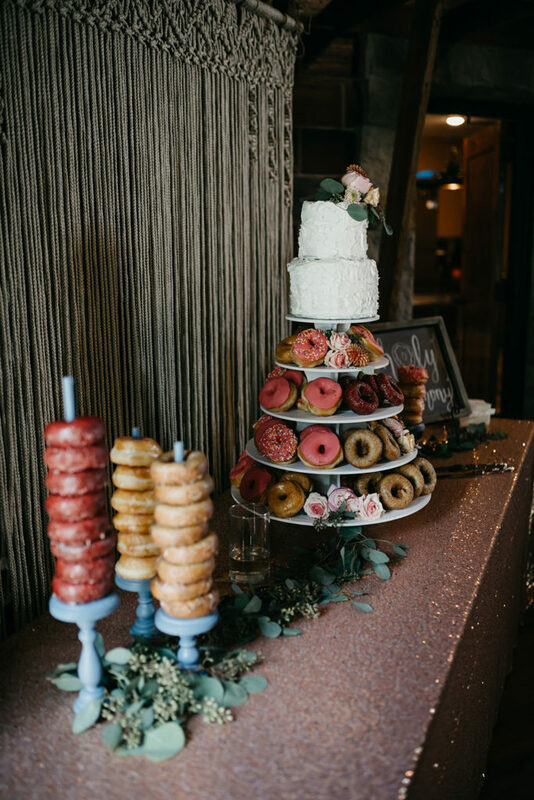 Planning your wedding would be easy if it was just the ceremony, but when it comes to your big day a huge part of the effort comes with planning your wedding reception. And rightly so — it’s an opportunity to share your love with all of your favorite people in the world! Whether you have an elaborate or simple reception in mind, you’ll need to hire reception services to pull off your dream reception. At Complete Wedding + Events, we have a host of highly skilled professionals available to help you plan and execute your wedding reception. Let us take care of the details so you can focus on celebrating! Every wedding reception plan requires coordinating space, vendors, decorations, and other reception services to create a bigger vision for the big day. 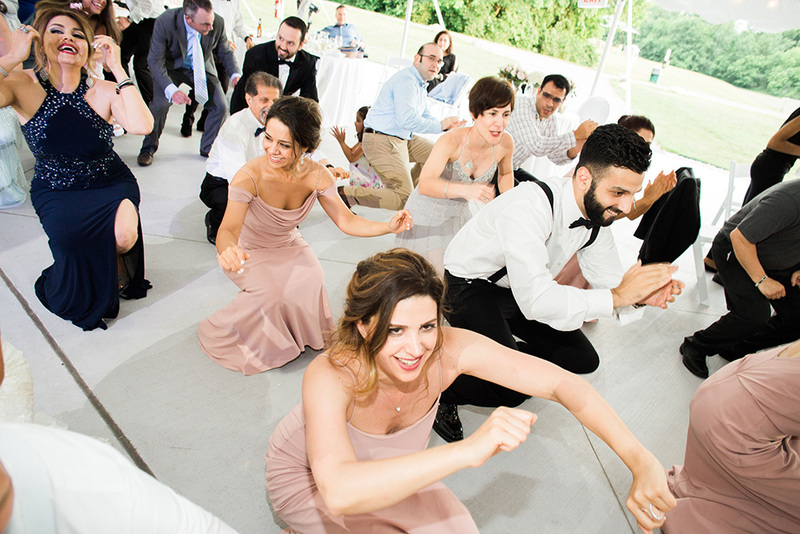 What seems like even the smallest details — where you place the head table, how the DJ and band are set up, the layout of the dance floor — are critical elements in the overall vibe of your reception. Complete Wedding + Events can provide event coordinators to walk you through every step of set-up, no matter how small, to get you closer to your vision. We’ll start by thinking together about your guests, since this is a party after all! People are the most important part of this plan, and you want your guests kicking up their heels, mingling, and enjoying time with you and your future spouse, the guests of honor. Our coordinators know that planning the flow of the room for your reception will impact how your guests experience the event. For the same reason, a coordinator can also help you decide table seating, placement, and other important details! Once you’ve decided how you want the space set up, it’s time to find just the right place for your vendors. 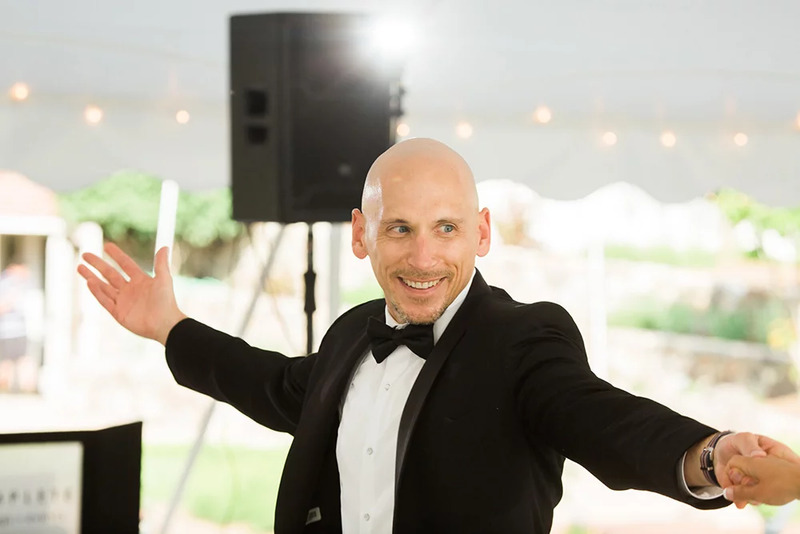 The DJ is your host for the evening, so you’ll want to choose a prominent spot to guide the festivities from, while also taking into account that their booth setup usually has specific electrical requirements. Our event coordinators for reception services can work with you to get creative and solve problems like this. The same goes for your other reception entertainment option — whether you’re planning a wedding photo booth or a guestbook station, you’ll want to consider the best place to set them up. Finally, don’t forget to reserve an area for your photographer, videographer, and other vendors like caterers that will be hustling to make your day perfect! 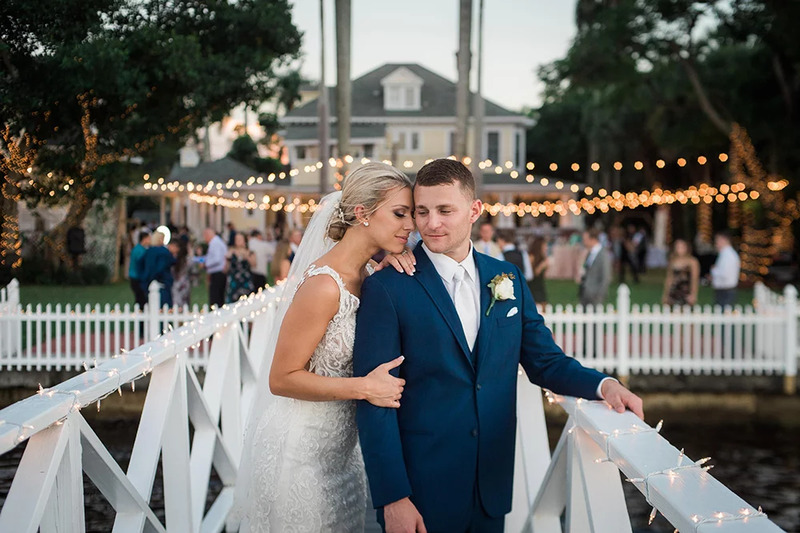 Wedding photography is a must-have, and we can provide seasoned professionals to capture the laughter, the antics, the dancing, and the happy tears while you and your loved ones are celebrating at your reception. Videography is one of our up and coming services. 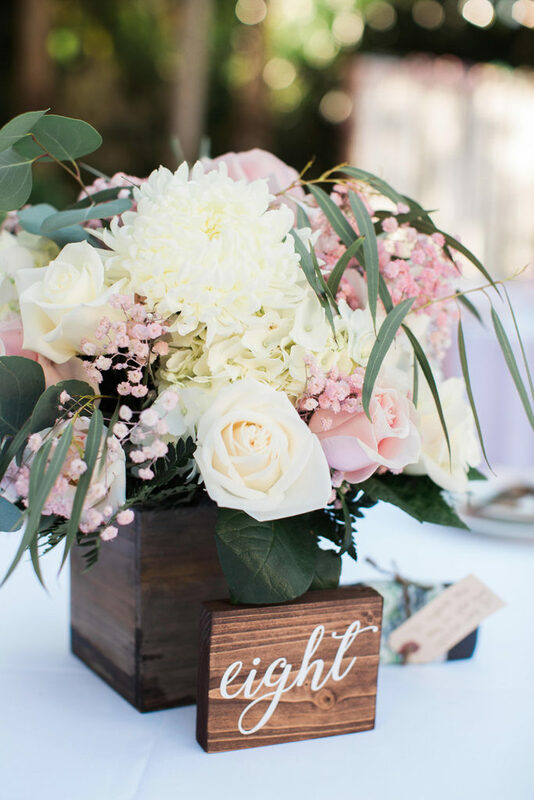 More and more, couples are realizing the benefit of having a video to remember their wedding and reception — and a memento to share with guests who can’t attend! 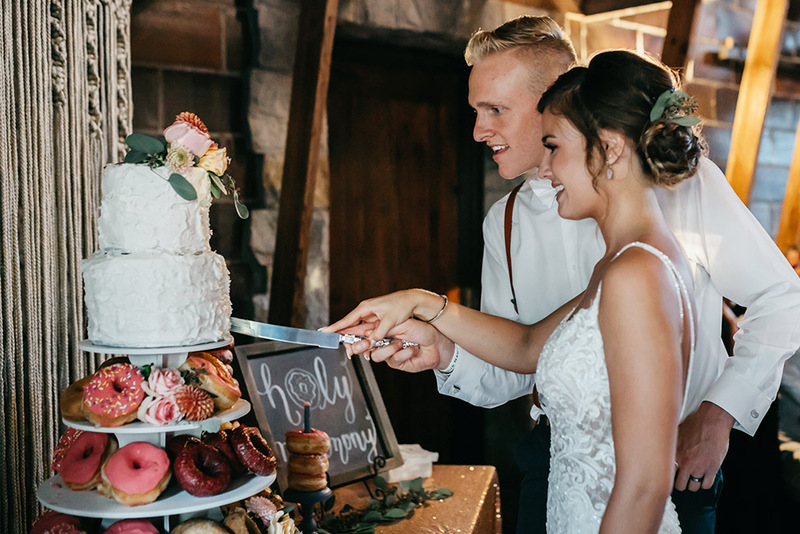 From heartfelt toasts to hilarious cake cutting, these memories are preserved best in high definition. DJ reception services are the cornerstone of every great reception! Nothing keeps a party going like a DJ who knows what to do and how to make everyone join the party. We are there to provide the soundtrack to your reception that will bring you nostalgic memories for years to come. Our photo booth rental service is a fun addition to any reception you want to liven up. Props and prints mean everyone goes home with a party favor and a funny memory. Professional lighting can be a game changer for your reception. If your venue feels too dim, if you want to spotlight original architecture, or even if you just want to add some color to your reception, using our professional lighting service will make your venue shine. Complete Weddings + Events has every reception service expert you need to help you plan a night you and your guests will never forget. Bring us on as your reception planning team and rest assured your reception is in the hands of professionals — contact us today and let’s start the celebration!